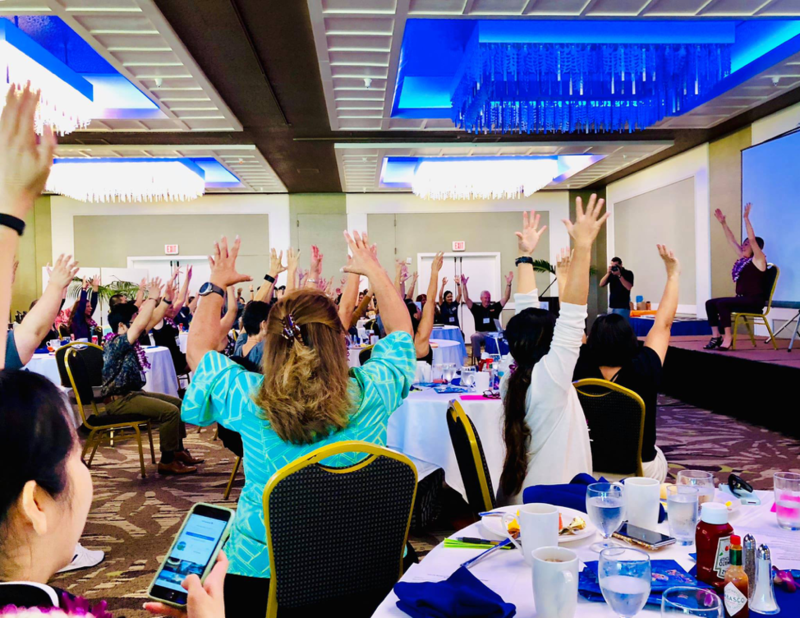 On November 16, representatives from 15 worksites attended Get Fit Kauai’s Worksite Wellness Challenge Awards Breakfast celebrating the conclusion of the highly successful nine-month challenge. Participating agencies/companies focus on making system, policy, and/or environmental changes at work. In February of this year, each team was given an initial questionnaire to determine how “healthy” their place of work is and how many policies they had in place to support a “healthy” place to work. The survey included questions or statements, each with a point value. Topics ranged from annual wellness program reviews, bike racks, on-site gardening, access to fruit and vegetables, water coolers, policies on banning tobacco use and space where employees can exercise. At the end of the nine-month challenge, all teams completed the same questionnaire to see how much they had improved. Teams received more points for lasting, sustainable changes, versus short-term ones such as posting fliers and one-time activities. The team that improved the most, wins. Teams included Aqua Engineers, Inc., Costco Kaua‘i, County of Kaua‘i, Courtyard by Marriott, Hartung Brothers Hawaii Inc., HMSA, Hokuala Kaua‘i, Kaua‘i Coffee Company, Kaua‘i Community College, Kaua‘i District Health Office, Kaua‘i Marriott Beach Resort, Koloa Landing Resort – Autograph Collection, KONG Radio Group, Wilcox, and the YWCA. First place went to Courtyard by Marriott with a score of 172, an increase of 136. Kaua‘i Coffee came in second with a score of 199, an increase of 117, while the state Department of Health’s Kaua‘i District Health Office finished in third place with a score of 187, an increase of 88. At the end of the competition, more than 100 policies regarding worksite wellness have been put in place by companies that are involved.